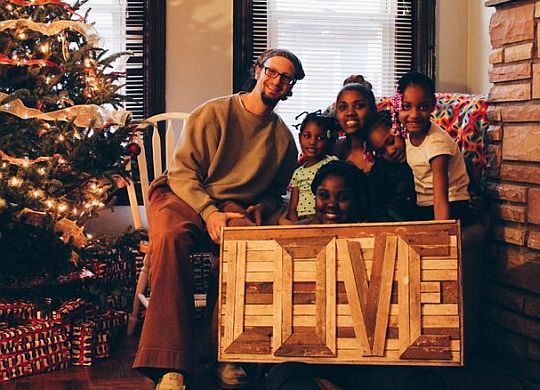 The Fuller Center for Housing has seen an influx of new covenant partners over the past couple of years, especially from groups that formerly had been associated with other housing nonprofits. Reasons they often cite for joining The Fuller Center include having the ability to make decisions at the local level and not having to pay fees to a bureaucratic overseer where they consider their fees going too much toward overhead and not enough toward work in the field. When Millard and Linda Fuller founded The Fuller Center in 2005, they saw it as an opportunity to return to the grass-roots, Christian principles with which they started the affordable housing movement more than 40 years ago. One of those principles was that day-to-day decisions are best left to local groups who know best what their local community’s needs are and the best ways to meet those challenges. They believed that headquarters’ role was to facilitate — and not dictate — the work in the field, in the United States or around the world. They also believed that local partners should be encouraged to tithe toward the ministry’s work elsewhere but never required to pay fees to be a part of the ministry. We lost Millard in 2009, but The Fuller Center has not wavered in its grass-roots principles and never will. We still believe decisions are best made at the local level, and we do not require our local covenant partners to pay fees in order to go about their work in the field under our umbrella. We stand ready to help local partners in a multitude of ways, but, ultimately, the work is up to those hard-working folks in the mission field. It’s one of the reasons The Fuller Center is succeeding in hard-to-work places like Haiti. While many U.S. outfits have parachuted into the country believing they know best how to work there, The Fuller Center worked to find Haitian partners willing and able to put our partnership housing principles into action. When Millard and Linda Fuller founded The Fuller Center in 2005, they saw it as an opportunity to return to the grass-roots, Christian principles with which they started the affordable housing movement more than 40 years ago. The Fuller Center’s mission is to help families have simple, decent places to live. That means different things in different places. To partners like Louisville and Philadelphia, that means resurrecting once-vacant, dilapidated properties and turning them into like-new homes. In Indianapolis, it means raising the walls of new homes. In Perry, Ga., and Tallahassee, Fla., it means repair projects like new roofs and wheelchair ramps. In El Salvador and Bolivia, it means building whole communities. In India and Nicaragua, they’re taking it one home at a time. And in places like Hammond, La., it’s new homes, repairs and helping people recover from historic flooding. We encourage everyone to visit our international headquarters in Americus, Ga., but we must warn you that while it will be enlightening, it might not be terribly exciting. It’s a small, simple building with no fancy offices or lobby adorned with ornate fixtures. In fact, you might ask, “Is this it?” Well, yes it is. However, if you go visit our local partners, you will find excitement as that’s where the action and real work of this ministry happens. Sorry, though, you still won’t find any fancy offices. None is interested in overhead. Local partners also happen to know best how to tell their stories. I hope that you will take a look at a couple of new short videos below — one produced by our partners in Philadelphia and one produced by our partners in Louisville. Both are fighting blight and empowering families by resurrecting vacant properties. It’s just one area of focus for our ministry, but it is one that they feel best suits their communities’ specific challenges. When you consider your year-end giving options this year, be sure to support grass-roots nonprofits who direct your generosity to where it is truly needed — in the mission field.